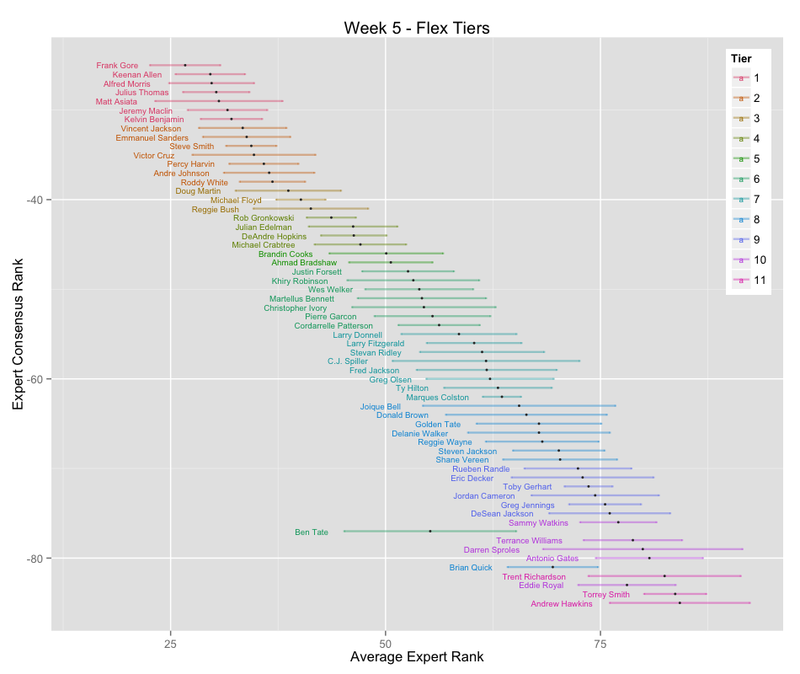 In this model, I take aggregated expert ranking data from Fantasypros.com and pass it into a clustering algorithm called the Gaussian mixture model. 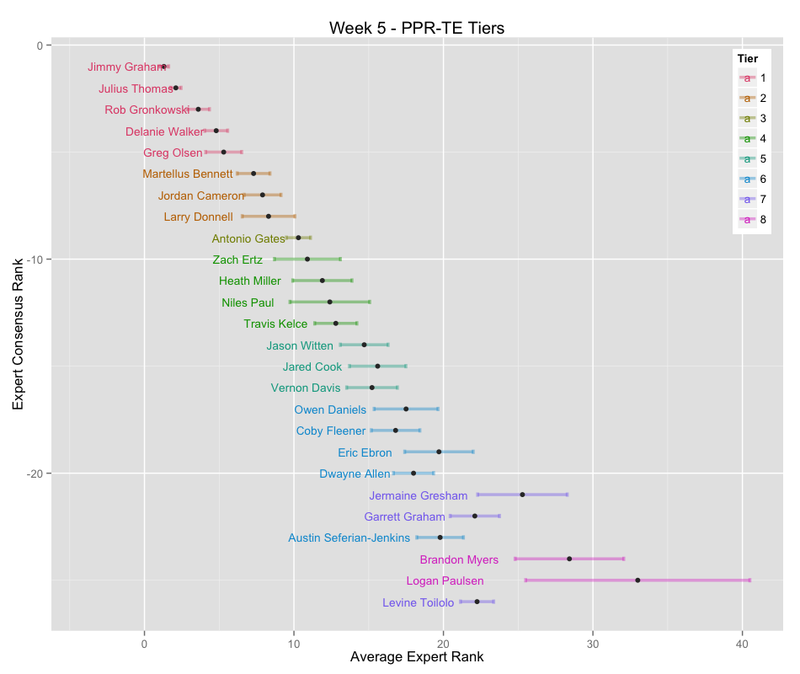 The algorithm finds players who are ranked similarly and discovers natural tiers within the data. 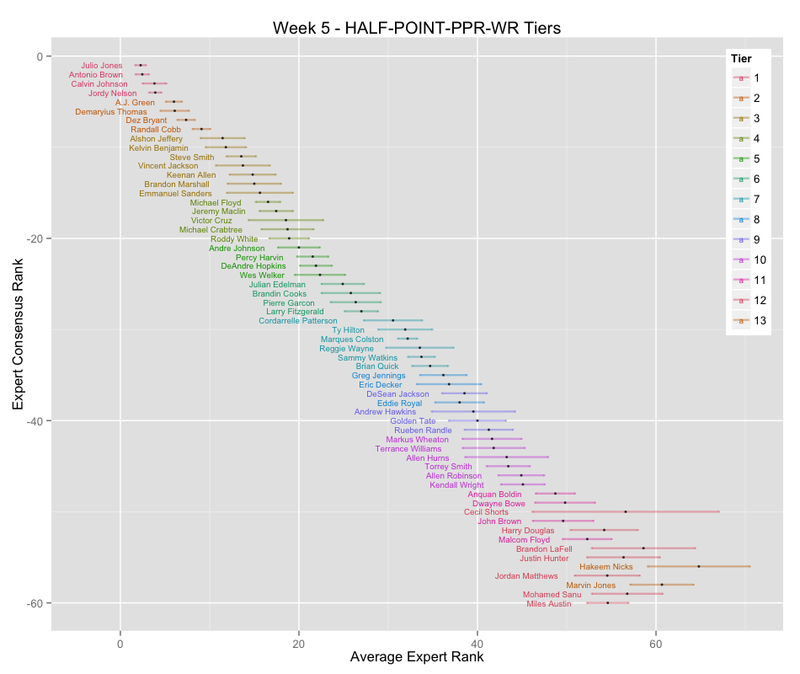 The results is a series of simple charts that can help you decide your line up each week. Match ups, injuries, strength of offense and defense are all accounted for each week. Tiers are preferred over ranks, as it allow you to see the true distance between players, which is not as linear as a ranked list suggests. For more intuition behind the model, you can read this introduction. 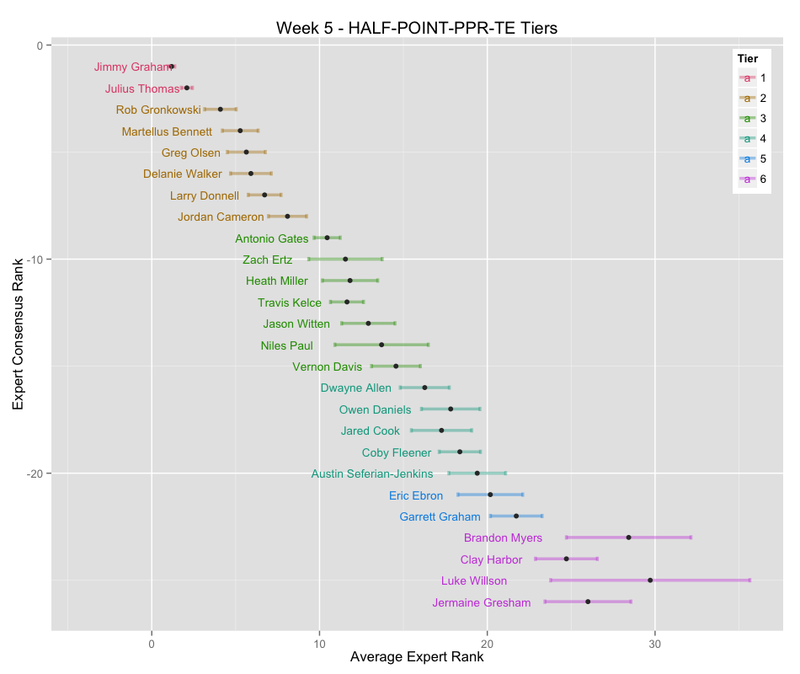 (1) These are early tiers for week 5 to assist you with waivers. I would NOT use this to set your line up yet -- wait for the Thursday update when more data is available. (2) When a player on the waiver is highly likely to start for you next week, consider using a high claim or higher bid. 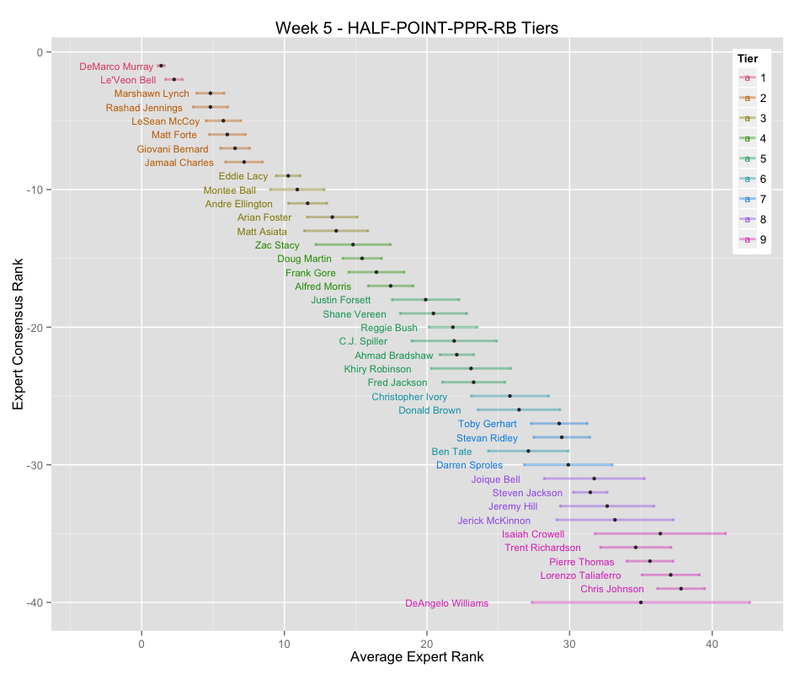 (1) Why are the flex charts inconsistent with the RB and WR charts? 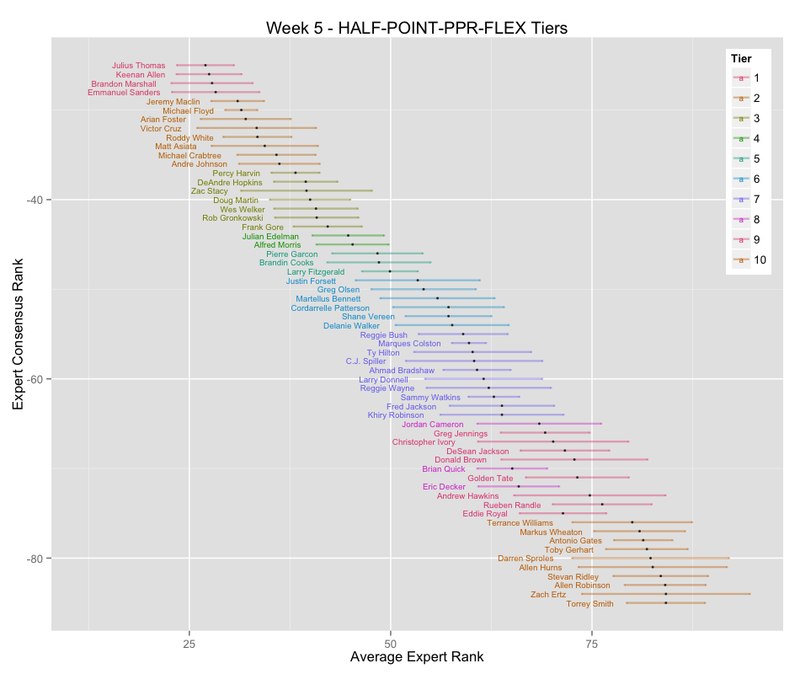 This happens because flex is an after thought for many experts. 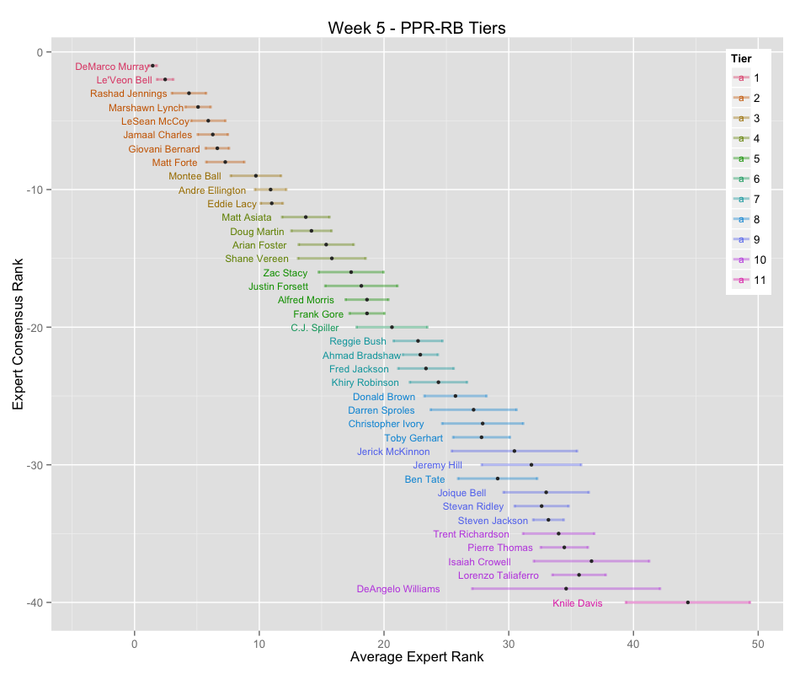 Less experts submit rankings to Fantasypros, and they're not graded on them. (2) How accurate are these tiers? Here is a link to last year's accuracy. (3) When do you update the charts? The main update comes Thursday afternoon. Sometime there will be an early Tuesday version. 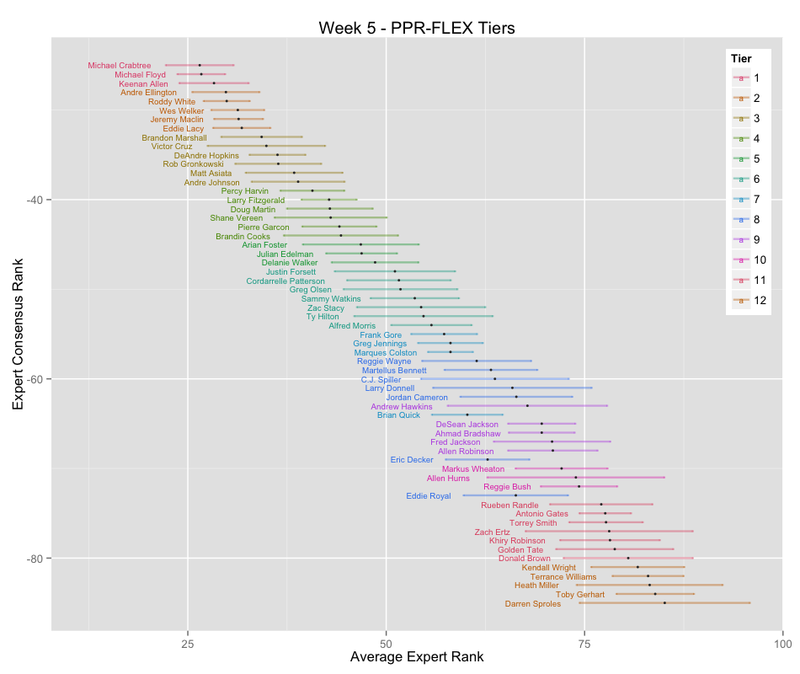 (4) Can you do this with Fantasypros' Rest-of-Season rankings? This was tried last year (example), however we saw that the data seemed constantly outdated by 1 or 2 weeks. 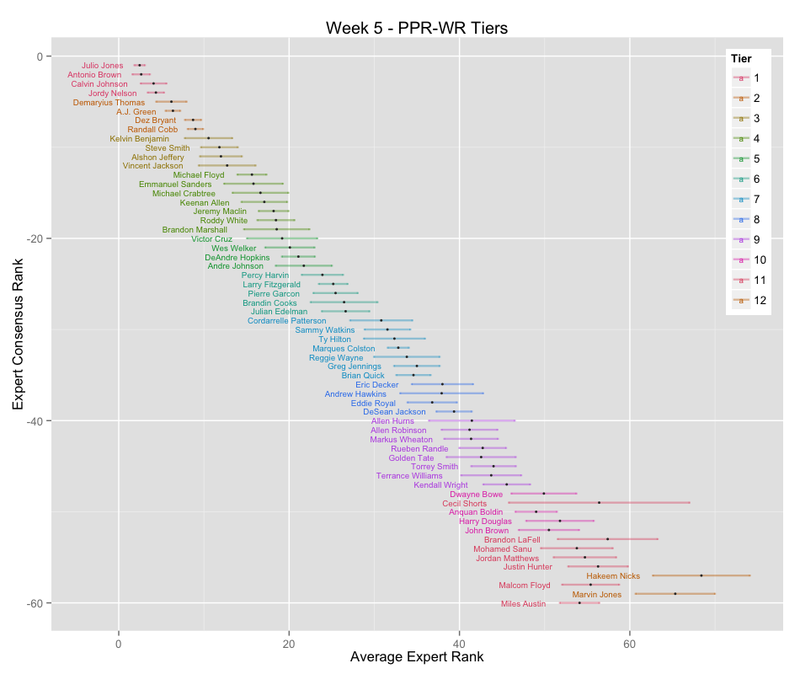 I suspect that many experts submit outdated RoS rankings. (5) The New York Times chart says "Aug 6, 2014". Is it updated? Yes, the date reflects when the very first chart went up for week 1. The charts are updated weekly and often.